Dr. Alan Barnes, MD is a Doctor primarily located in Cherry Hill, NJ, with other offices in Hanscom Afb, MA and Gainesville, FL (and 2 other locations). He has 47 years of experience. His specialties include Psychiatry and Neurology. Dr. Barnes is affiliated with Shands Hospital at The Univ. of Florida. He speaks English. Dr. Barnes has received 1 award. The overall average patient rating of Dr. Alan Barnes is Excellent. Dr. Alan Barnes has been rated by 6 patients. From those 6 patients 2 of those left a comment along with their rating. The overall rating for Dr. Alan Barnes is 5.0 of 5.0 stars. Not only does dr. Barnes help you to understand your issues, but actually has mentioned some very practical courses of action. It is clear that he does his homework and is up to date on new information. Best of all is his calm and caring demeanor. Highly recommended. Dr. Barnes is affiliated (can practice and admit patients) with the following hospital(s). 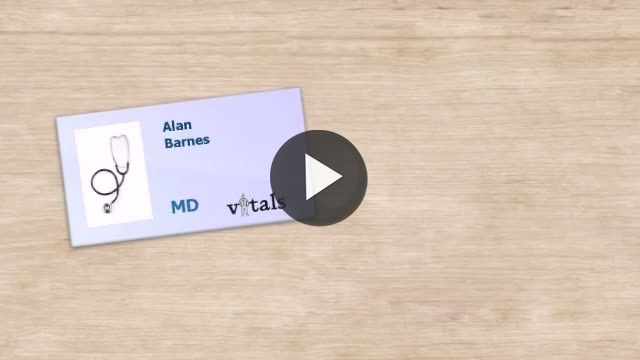 Take a minute to learn about Dr. Alan Barnes, MD - Psychiatry in Cherry Hill, NJ, in this video. Dr. Alan Barnes is similar to the following 4 Doctors near Cherry Hill, NJ. Dr. Alan Barnes Is this you? Have you had a recent visit with Dr. Alan Barnes? Select a star to let us know how it was.